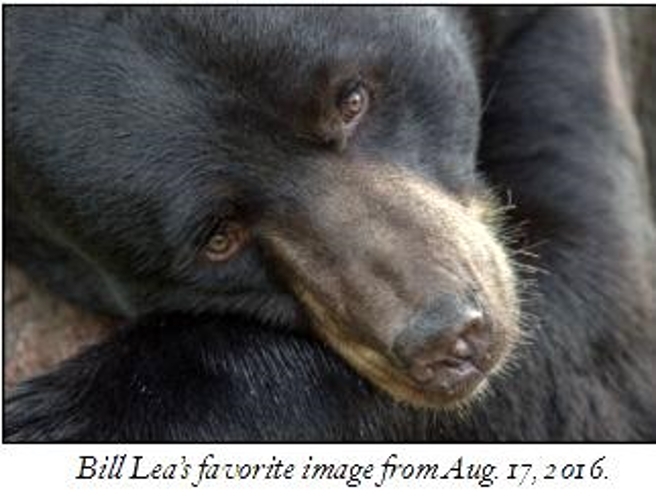 The LeConte Photographic Society will host Bill Lea for a photo program “Understanding the Misunderstood Black Bear” on Saturday, February 24th at 10:00 a.m. at the King Library in the Burchfield room. This program is free and open to the public. What is it about the black bear that we humans find so fascinating? Is it their size? Their strength? Or could it be OUR fear? It is probably all of these things and much more, including the cuteness of a black bear cub and the childhood association that so many of us have with the “Teddy Bear.” There are so many myths and misinformation about bears that few people really know the truth about black bears. What are they really like? Do bears have distinct personalities? Do we need to be afraid of bears? How do we co-exist peacefully? These are all things we will talk about while we enjoy photos of these amazing animals. The enjoyment of sharing the wonder of black bears and nature with others is second only to Bill’s desire for promoting a respect for wildlife and all of God’s creation. If you would like to see more of Bill’s photography please visit his website at www.BillLea.com. This program is not sponsored by the King Library.